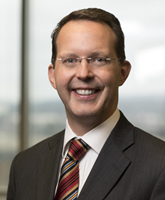 Scott Burnett Smith is a partner in the firm’s Huntsville office. His practice covers class actions, complex litigation, and appeals. Scott has been involved in dozens of nationwide class actions in state and federal courts, and he has handled over 30 class action appeals. He is also regularly involved as the appellate lawyer embedded with a trial team in complex civil litigation. In that role, he has succeeded in having several multi-million dollar injury verdicts (including punitive damages) remitted by the trial court or reversed and rendered by the appellate court. The founder of the firm's Appellate Litigation Group, Scott has been involved in 15 cases (2 on the merits) before the U.S. Supreme Court. He has also been involved in over 140 appeals to the U.S. Courts of Appeals for the Fourth, Fifth, Sixth, Ninth, Tenth, Eleventh, D.C., and Federal Circuits, the Alabama Supreme Court, the Alabama Court of Civil Appeals, and the Arkansas Supreme Court. Scott has presented oral argument 21 times before appellate courts, including the Alabama Supreme Court and several federal courts of appeals. Scott is active in DRI - The Voice of the Defense Bar. He currently serves as a National Director on DRI’s Board of Directors. He is the past-Chair of DRI’s Amicus Committee and past-Chair of DRI’s Appellate Advocacy Committee. He also served as Chair of DRI’s national Class Action seminar, held July 21-22, 2011, in Washington, D.C. He writes and speaks regularly on class actions and appellate practice.